There is no need for you to suffer after having surgery. How much pain you have after your surgery will depend on what type of surgery you have. Your doctor will use powerful medications to ensure you do not have pain. Usually before your surgery, a catheter is inserted in your vein in your arm or hand. This is used to give you fluids, antibiotics, sedatives, anesthetic and pain medication after your surgery. Pain medications in the opioid family are generally injected into the IV catheter on a regular schedule. You might also be given a patient controlled analgesia system (PCA system) where you are able to give yourself a small dose of the medication by pushing the button when you feel pain. This system has a built in safeguard to ensure you do not overdose on the pain medication. 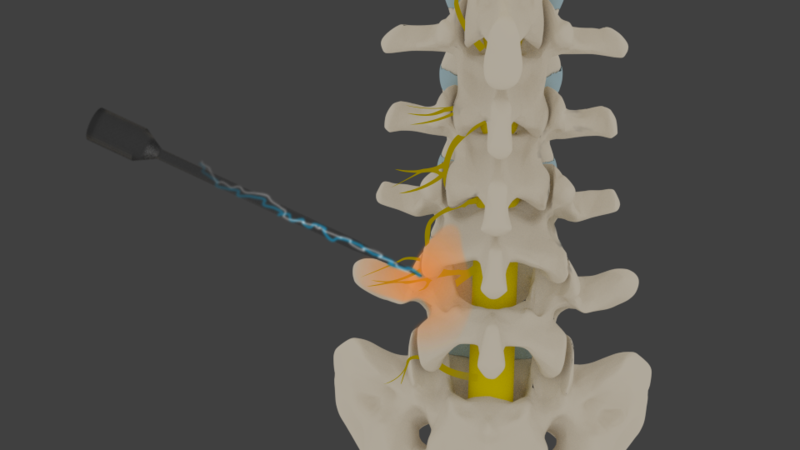 With an epidural analgesia, the pain medication is injected through a catheter that is placed in the epidural space in the spinal canal. This type of pain medication is often used during labor and it can also be used after major surgery. The epidural can remain in place for a number of days for post operative pain. Spinal anesthesia pain relief involves injecting pain medications directly into spinal fluid. This method is faster and easier than an epidural; however, it does not last as long. In addition to the spinal medication, a long acting opioid can be added that can last up to 24 hours. 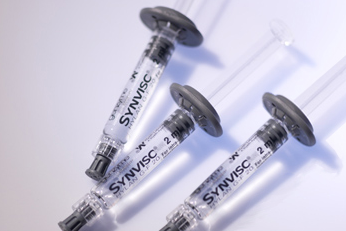 Nerve block offers targeted pain relief to a specific body area like your leg or arm. It stops pain messages from travelling up the nerves to your brain. 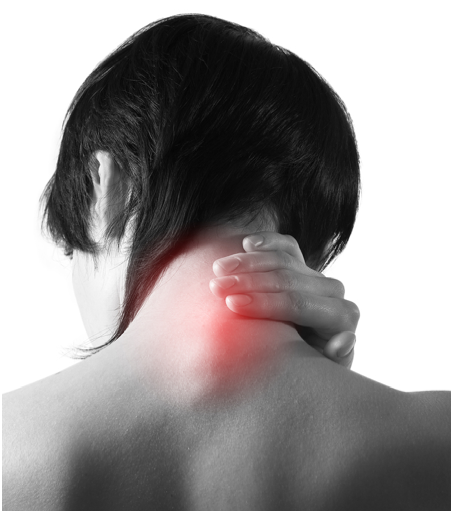 This type of pain relief works well if you only require pain relief for several hours. It can be administered by a single injection of local anesthetic or for longer relief a catheter can be placed in the area for a continuous pain medication drip. Nerve blocks can be administered for outpatient as well. Combination pain medications or multimodal Pain Relief is often used and entails a combination of an opioid with one other drug such as celecoxib, gabapentin, ketamine or acetaminophen. The combination is known to improve pain relief after surgery. After your surgery you will need to let your doctors and nurses know how you are doing and how much pain you are in. Pain control is very important. Be honest about your pain, where it hurts, what makes it worse (or better) and how much it hurts. You should never ignore any side effects you are experiencing. Tell your doctor. If one medication is not working, there are others that can be tried. When your body is not in pain, it can do a better job of focusing on the work of healing. This is not the time to prove you have a high pain tolerance, so do not grin and bear it. Always work with your health care providers to make your recovery go as smoothly and quickly as possible. Headaches are among the most common type of pain that is suffered by people. 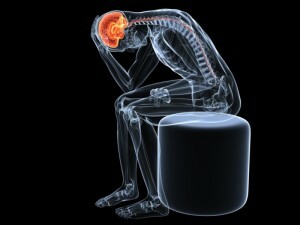 Headaches are characterized by a sharp and persistent pain being felt by the patient in his head or the region of neck. Headaches can prove to be very discomforting for patients as they make it difficult for the person to focus and render him incapable of performing activities. Headaches that are the main problem for which no other cause can be determined, are considered to be primary headaches (Cohan, 2012). On the other hand, headaches which are caused as a result of another disease or disorder are referred to as secondary headaches. Headaches can be caused due to a lot of reasons. 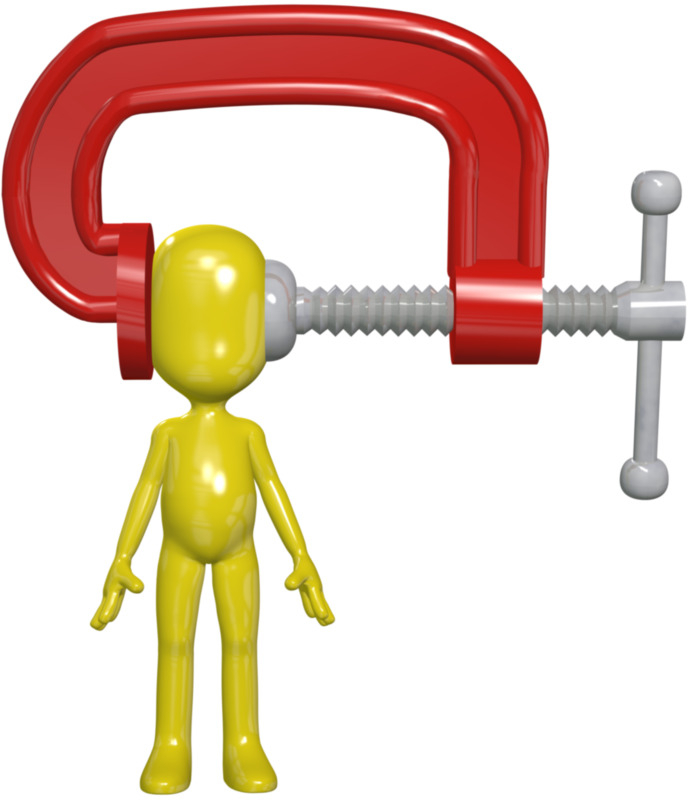 The most common cause of headaches is tension or stress. When a person is under stress, he is likely to get a headache. Such headaches are usually very mild in nature but do not go away easily. Other causes of headaches are migraines, brain tumors, stroke, high blood pressure and meningitis. The headaches that result from these disorders or diseases are intense in nature and can be accompanied with other symptoms too. Occipital blocks may help considerably with migraines! The symptoms of primary headaches which are caused by tension and stress include mild, throbbing pain in the head that originates from the base of the skull. This pain is not very intense in nature but is consistent and does not go away easily until proper medication is taken. The symptoms of secondary headaches that are caused due to another disease or disorder vary depending on the disease being suffered by the patient. Patients suffering headaches because of migraines will also exhibit symptoms like vomiting and fever while those that have high blood pressure to thank for their headache will also feel pain in their chest and forehead region. The diagnosis of headaches is not that difficult. The Las Vegas Pain Management Doctor just has to do a physical exam to check whether the pain is being caused due to an external injury or is resulting from an internal issue. In case of an injury, the doctor is going to make use of radiological diagnostic means like CT scans and MRI to determine the extent of the damage suffered by the head. The use of these diagnostic tools is also used by doctors to check whether the headache is being caused due to tumor or not. Tension induced headaches are generally diagnosed by the Pain Doctor in Las Vegas by simply asking the patients about their daily routine and what they have been doing since the headaches started. With the plethora of options available, Las Vegas pain management doctors achieve a high success rate with all kinds of headaches and migraines. Treatment needs to be individualized, as no two patients present the same. The Las Vegas and Henderson pain doctors in the Network accept over 50 insurance plans, are Board Certified, Award Winning, and work out of multiple locations. For the best pain management Las Vegas has to offer, call (702) 323-0553 today! Pain – it is something most of us have experienced at some point in our life, but for some that experience of pain does not go away leading to chronic pain and the need for some help with Pain Management. Let’s have a look at the two basic pain types – neuropathic pain and nociceptive pain – how pain is treated will depend on the type of pain you are dealing with. The different neuropathic pains are often difficult to treat. With a careful diagnosis and then a combination of treatments, there is a good chance that you can enjoy improvement in your pain. Medications are very important in the treatment of neuropathic pain. They work to change how your body handles pain information, using the central nervous system to filter out pain. For example, let’s say you sit in a chair. The peripheral nerves would then send a response to the nervous system the pressure that is occurring between the body and chair. But because it serves no purpose, your spinal cord filters this message out. • A spinal cord stimulators one of the best tools for treating neuropathic pain, which delivers small amounts of electrical energy directly to the spine, which lets the spinal cord normally function even with a painful condition, by interrupting pain that’s inappropriately being sent to the brain. • Somatic pain is limited to the thighs or back. Research shows that the majority of back pain that does not go away after being treated conservatively usually comes from 1 of 3 back structures: the sacroiliac joint, the discs, or the facet joints. When you suffer with pain your doctor will try to treat you, but it doesn’t always relieve your pain. In these situations, a pain clinic may be beneficial in your pain management determining what kind of pain you are having and then figuring out the best treatment plan. Pain Management will usually include the use of prescription and/or non-prescription drugs, exercise, physical therapy, alternative treatments, stress management, and more. After all, the focus is to get all aspects of your pain under control so that you can get your life back. Occipital nerve stimulators sometimes referred to as peripheral nerve stimulation of the occipital nerves is a renowned chronic headache treatment. The treatment is administered for patients who fail to respond to other treatments and involves mild electrical pulses which are used to stimulate the greater and lesser occipital nerves. 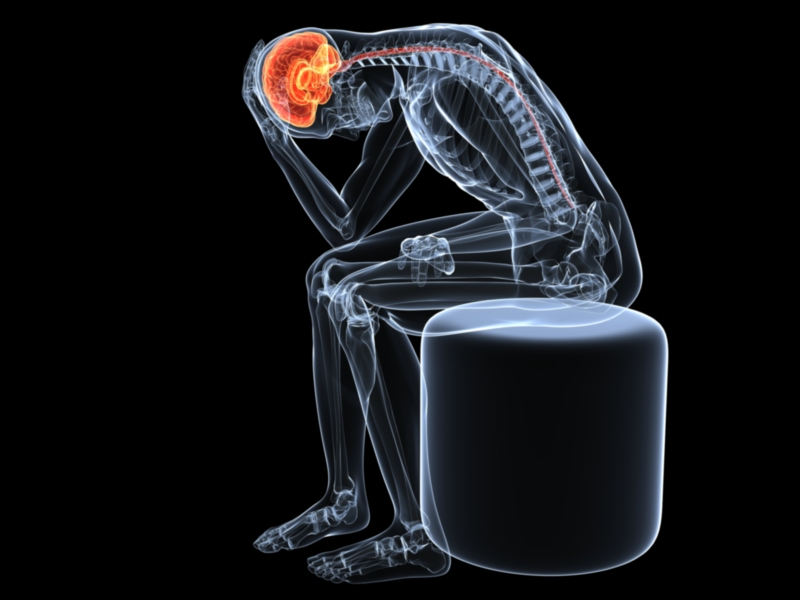 This alters the way the brain perceives those pain signals and lessens pain dramatically. These nerves make up the peripheral nervous system and you can find them on the head right above your neck. Although this treatment is not new and has been used for a couple of decades, it’s still a treatment in its developmental stage. 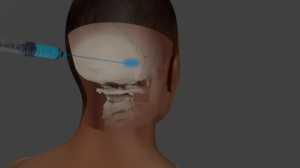 Occipital blocks are very effective for short term management of headaches and migraines, so a radiofrequency treatment or stimulator implant may provide much longer term relief. This is an outpatient treatment. The electric impulses are produced by a neurostimulator which is a small device resembling a pacemaker. 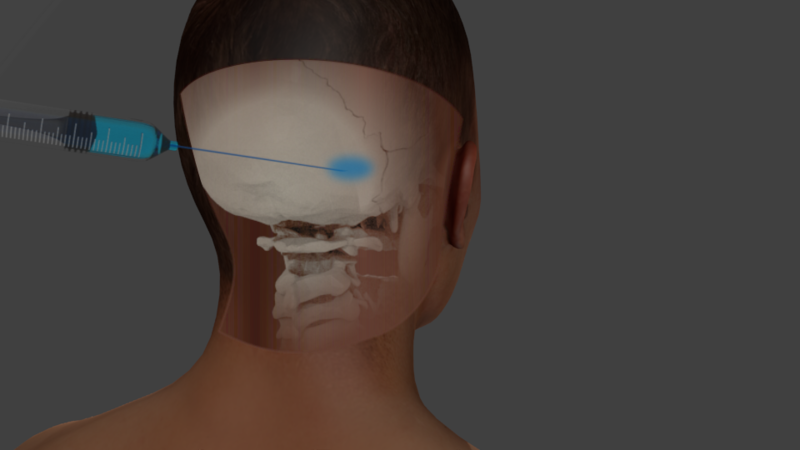 The neurostimulator produces electrical impulses which are directed to the occipital nerves by a pair of small metal electrodes implanted under the skin. The electrical pulses are adjustable and you can change their intensity with a remote control. Before having the neurostimulator implanted, the patient will first have to undergo various assessments to ensure that they get the desired results. Psychological evaluation is conducted to ascertain the patient’s mental health and overall well being. 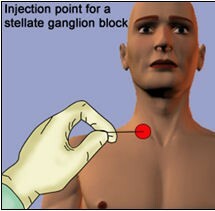 This procedure has very minor risks and these are detailed to the patient before implantation. Usually, a trial treatment is conducted and what the Las Vegas pain management doctor is looking out for with the treatment is pain relief that exceeds 50 percent. The trial is left in place for 5 to 7 days. If adequate pain relief is achieved, the final implant is scheduled to be implanted at a later date. Permanent placement is conducted with fluoroscopic guidance and this involves placing one or two implants on opposite sides of the head. 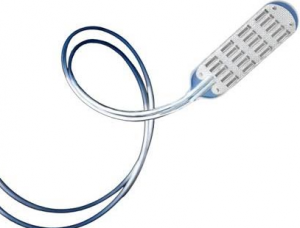 These leads are then connected to the neurostimulator which can be implanted on various parts of the body and they range from the clavicle which is under the collarbone, the gluteal (buttock) areas, chest to the lower abdomen. Like we mentioned, this treatment is still in its developmental stage and various studies still need to be conducted. There have been various clinical studies that have proven to be highly successful. That said; the results of these clinical studies vary and some studies have received results indicating a 30 percent reduction in the pain levels with others realizing a 27 percent reduction in pain. For those patients who have persistent migraines and other types of headaches, there are multiple treatment options. 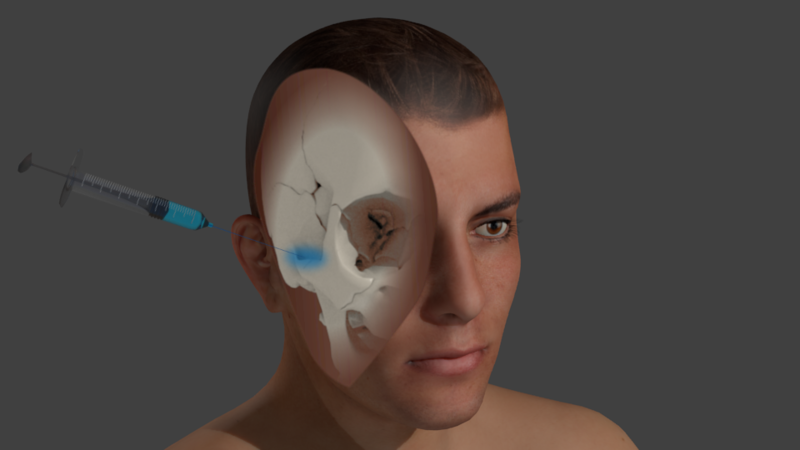 If occipital blocks provide relief for a few weeks to months, a Las Vegas pain doctor may perform an occipital radiofrequency ablation. And for those patients who simply cannot obtain adequate relief with these procedures, an occipital stimulator implant may be a great last resort. The best Las Vegas Pain Management Doctors offer over ten options for chronic headaches and migraines. This includes medications, occipital blocks, radiofrequency and stimulators. At Innovative Pain Care, over 50 insurance plans are accepted and the pain management doctors in Las Vegas are Board Certified. 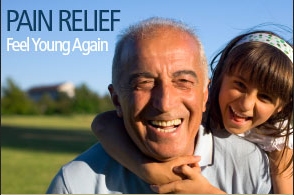 Call (702) 323-0553 for more information and scheduling with pain management Las Vegas trusts! What Does Research Show on Spinal Cord Stimulators for Failed Back Surgery? Spinal cord stimulator implants have been very successful when it comes to treating chronic back pain with Las Vegas Pain Management Doctors. In fact, many patients will tell you that it has helped them regain their active lifestyles. The stimulators are normally implanted in the back where they send electric impulses which interfere with pain signals. These impulses ideally prevent the pain signals from reaching the brain and instead of feeling pain, the patient feels vibrating sensations. Various clinical studies have been conducted to ascertain the effectiveness of the therapy and here is what they have revealed. A study conducted on patients who had already undergone back surgery with unsuccessful results showed that spinal cord stimulation relieved pain in 50 to 60 percent of the patients. This study demonstrated that there were significant positive results not only as far as pain was concerned, but also when it came to the general mood of the patient. 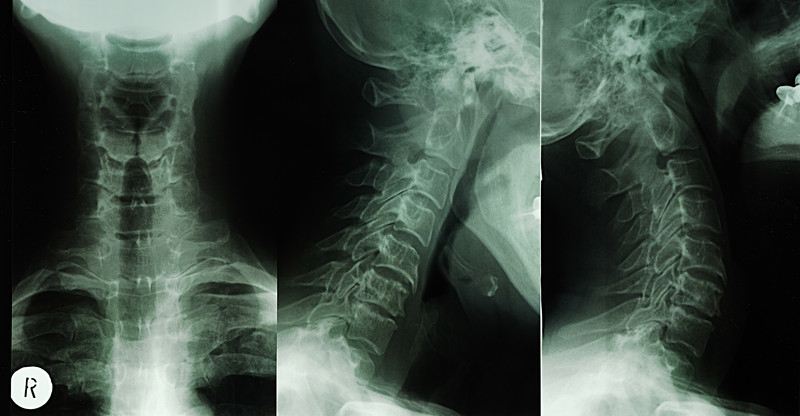 Spinal cord stimulation ultimately had positive effects on the patient’s quality of life. The pain levels in the patients who received a spinal cord stimulator reduced by about 50 percent and this was just in the first level of the trial. This just goes to show that better results could be achieved with continuous use of the spinal cord stimulator. This study was conducted by nine hospitals and it included 43 patients. After 24 months of muscle stimulation, 60 percent pain relief was experienced and the success rate of the treatment rose to 74 percent. Strong evidence suggests that with early intervention, spinal stimulators could produce even better results when it comes to dealing with failed back surgery syndrome. It actually should be considered before re-operation. Other studies also reveal that spinal cord stimulators may also be a cost effective approach to dealing with failed back surgery. Two studies have indicated that spinal cord stimulators are in fact more effective than conventional non-surgical procedures. Using spinal cord stimulators is not only highly effective; it could reduce the overall cost of healthcare. Various studies have been conducted on spinal cord stimulation and the results have been very encouraging. The safety and effectiveness of the stimulators were the major subjects of these studies and a controlled trial conduced on 55 patients revealed that spinal cord stimulation could improve the general health of patients suffering from back pain. Another study conducted on 70 patients also revealed that there were long term improvements with chronic back pain. The results showed that after a year using spinal cord stimulation, pain levels reduced greatly. 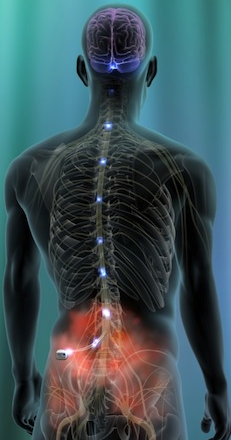 Spinal cord stimulators can be an effective treatment for failed back surgery. The treatment is often more effective than repeat surgery. Also considering that repeat surgery is often a terrible idea and not indicated, a stimulator may be the best option. Spinal cord stimulators are a cost effective treatment when it comes to treating failed back surgery. 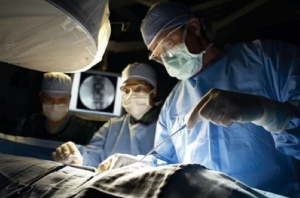 Of course more research is still being conducted on the effect of spinal cord stimulation for failed back surgery and we can only expect more encouraging results. The premier Pain Clinics in Las Vegas offer spinal cord stimulator implants along with significant additional treatments such as medications and additional procedures such as radiofrequency ablation, epidural injections and more. Most insurance is accepted at Innovative Pain, call (702) 323-0553 for more information and scheduling with pain management Las Vegas trusts! 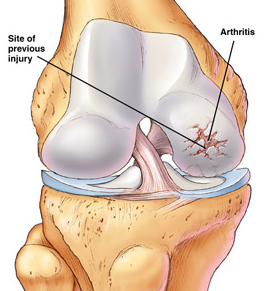 Arthritis is a condition in which inflammation and degeneration occurs in joints. This inflammation in joints, causes pain, stiffness, reduced movement and limited mobility. Since arthritis is a degenerative condition, it can slowly cause a person to become disabled. Since the condition occurs because of breakdown of cartilage of the joints, it occurs mostly in people above the age of 50. Overweight people and those who are open to more stress on joints are at greater risk of arthritis. Other reasons which can result in spinal arthritis include genetic problem of joints, injury or trauma or any condition which results in greater than normal stress on joints of the spine. 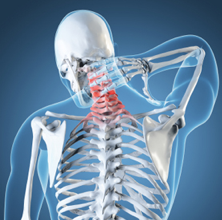 Spinal arthritis occurs in the vertebral joints which are also known as facet joints. These joints connect the vertebrae together at each level on both sides and provide flexibility to our backs. There are no treatments which can completely reverse the effects of arthritis (stem cell injections are promising); however pain alleviating treatments are present. One predominant reason for cartilage breakdown is because of the extra stress placed on them. Weight is one significant reason among others which increase stress on our joints. Obesity can significantly exacerbate the pain from arthritis, so losing weight may make pain lessen. The aim of treatment of spinal arthritis is to make sure that the normal movements of the patient do not get impaired. This is one of the reasons why physical therapy is important with strengthening exercises of muscles surrounding the joints to make them strong. Range of motion exercises are also important as they ensure that the joints are kept in motion and do not stop working. Strengthening the muscles surrounding the arthritic joints may take pressure off of them and provide pain relief. In some patients with spinal arthritis, the pain is easier to manage and does not require narcotics. 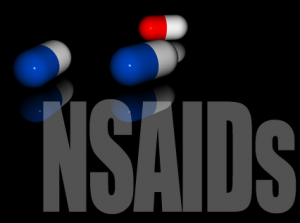 NSAIDs and Tylenol can normally be used for pain management. For periods when the arthritis pain is exacerbated, narcotics are sometimes used for short term relief. 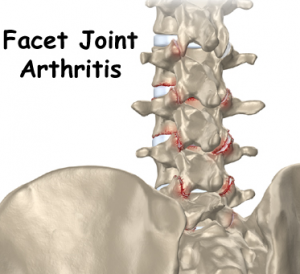 There are a couple different types of effective pain injections for facet arthritis in the spine. The first are facet injections, where cortisone medication is placed directly in the arthritic, painful levels. They may be repeated every few months. The second are medial branch blocks, which may provide months of pain relief along with telling the pain management doctor in Las Vegas which level is causing the pain. Medial branch blocks serve a dual purpose, and involve injections of numbing medicine and potentially steroid in the area around the joint. This numbs the nerves supplying sensation to the arthritic joint potentially for months at a time. 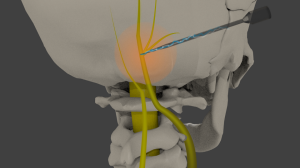 If a medial branch block works well for pain relief and then wears off, it may either be repeated for a radiofrequency neurotomy may be performed. 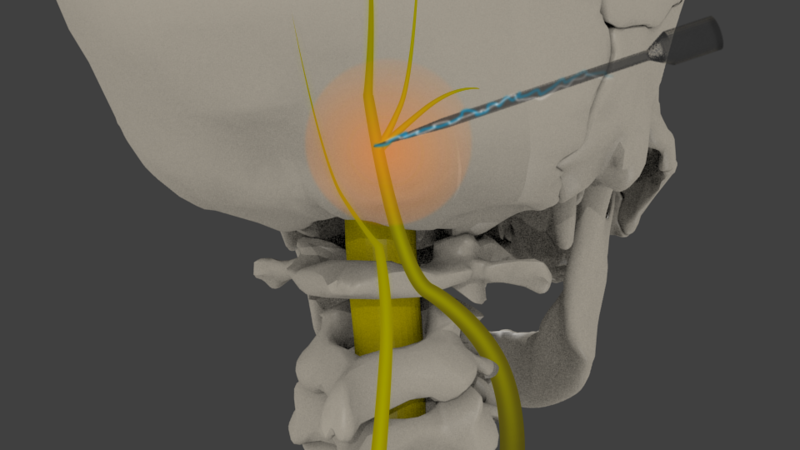 This procedure can offer 12 to 18 months of pain relief which is incredible. It may then be repeated with the same results if the pain comes back. For those individuals suffering from chronic back or neck pain due to arthritis, let the best Pain Management Las Vegas trusts help you. With Double Board Certified pain management doctors, Innovative Pain offers both medication management and interventional treatments with a 90% success rate. Most insurance is accepted, call (702) 323-0553 for more information and scheduling today!